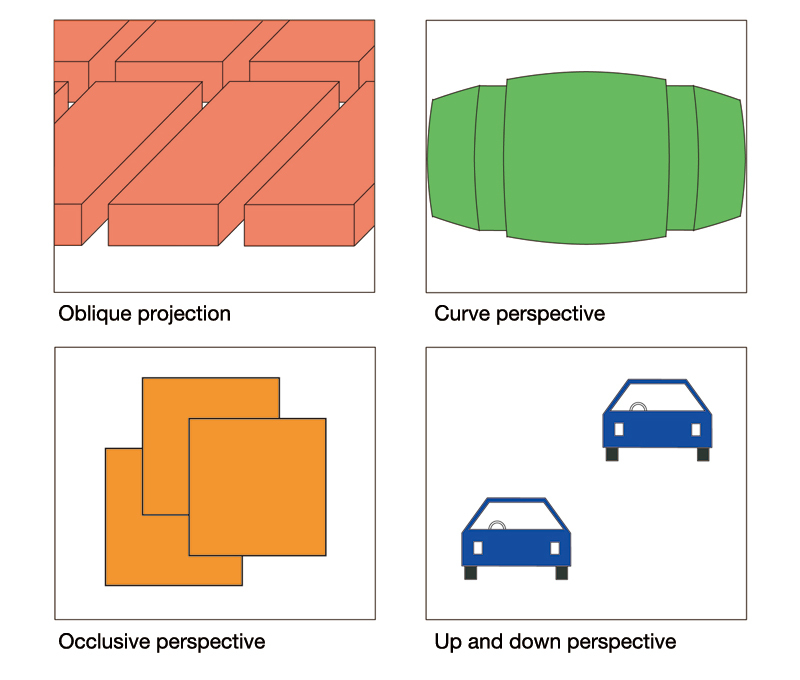 Perspective is the technique of representing three-dimensional space around us on a flat, two-dimensional surface (painting, drawing, etc.) without compromising spatial relations such as the notions of far and near, high and low, and wide and narrow. In the narrow sense, the term “perspective” generally refers to “linear perspective”, a technique which emerged during the Renaissance. 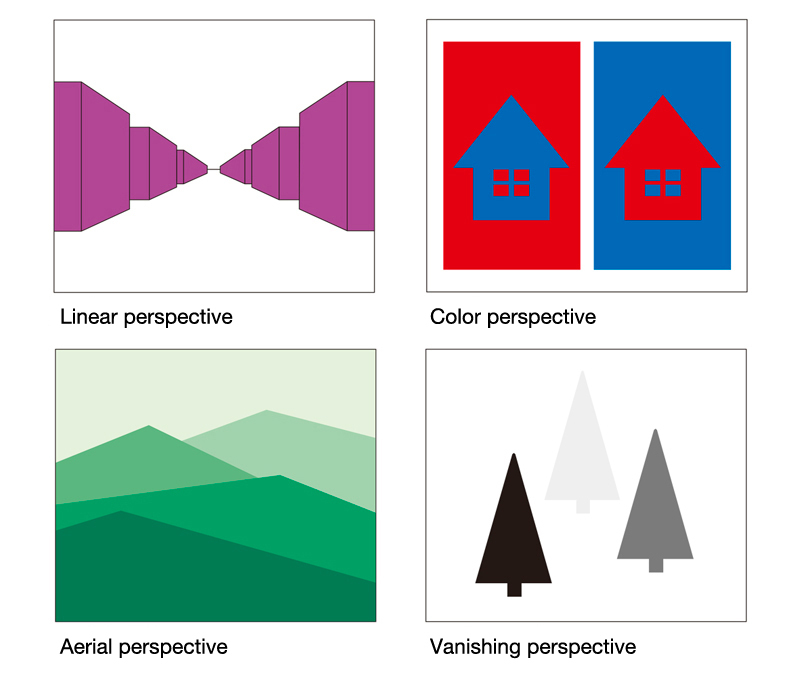 In the broad sense, the word is used as a collective term for a wide range of techniques including aerial perspective, color perspective, vanishing perspective, curve perspective, up and down perspective, occlusive perspective and oblique projection. In the history of Western paintings, there were attempts to incorporate perspective from prehistoric times, but it was not until the 15th century that the technique was systematized scientifically as “linear perspective” by Alberti and Brunelleschi of the Italian Renaissance. The theories for this technique were then perfected by the likes of Piero della Francesca and Leonardo da Vinci. Unique forms of perspective representation were also pursued in the Orient, a typical example being the concept of “three perspectives” in Chinese landscape paintings. This concept is based on the idea of looking at the height (extending upwards), depth (extending ahead to the other end) and breadth (spreading horizontally) of a scenery and was established during China’s Song Dynasty period. This approach has more sensory and ideological aspects to it compared to rationalistic western concepts. Western perspective representation techniques were introduced to Japan in the Edo period and had great influence on subsequent Japanese paintings.